Gujarat Police Result 2016 will be declared by declared by Gujarat Police at ojas.gujarat.gov.in. Candidates who have successfully appeared in Gujarat Police Recruitment 2016, 17532 Constable Vacancy can check their Gujarat Police Constable Result 2016 here. The candidates will be able to check the result through the link which will be updated here as soon as it is available. Check Gujarat Police Result 2016 – Link to check Gujarat Police Constable Result 2016 Written Exam will be activated when it will be declared officially. First, Result of written examination of Gujarat Police Recruitment 2016, 17532 Constable Vacancy in various discipline will be declared by Gujarat Police. Candidates who have successfully qualified the written exam will be able to appear in PST and then followed by PET. Candidates can also download the call letter for PST and PET exam. At the End final result will be declared by Gujarat Police. How to Check the Gujarat Police Constable Result 2016? Candidates who have appeared in the examination can check their Gujarat Police Result for Constable Recruitment from here by follow the below steps. Firstly, Candidates have to visit the official website to reach the Result Link. Find the link which navigate Gujarat Police Constable Result 2016. Click on the Link and enter the require details. Submit the details which are entered by you. As on date the authority members of the Gujarat Police Recruitment Board are in the process of checking of the written examination papers and will soon publish the result. Candidates who are waiting for the Gujarat Police Constable Result can check through the official website of Gujarat Police at ojas.gujarat.gov.in. soon after the results are published. 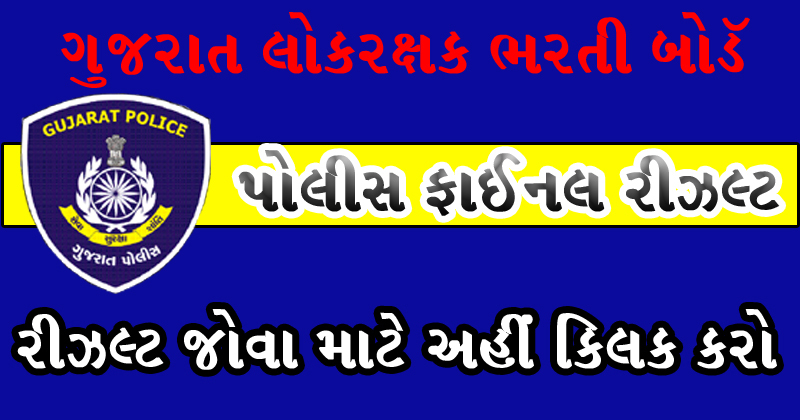 Gujarat Police is making all the arrangements to announce the results very soon. Candidates need to score the qualifying cut off marks as per the category-wise such as general, OBC, SC, and ST. The cutoff score is considered to be the lowest possible marks that students must score to get selected for Gujarat Police Result 2016.